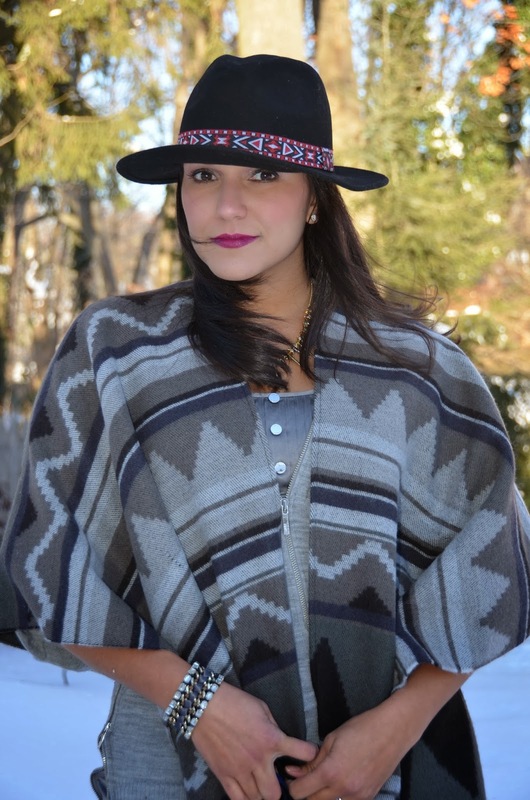 When the aztec print came back in style this fall/winter season I was beyond thrilled because I just absolutely love the look of the pattern! For those of you who follow me on Instagram, you may have seen me post of picture of this ruana which I picked up at Target (during one of my many diaper runs-turned clothing/beauty runs...lol)! 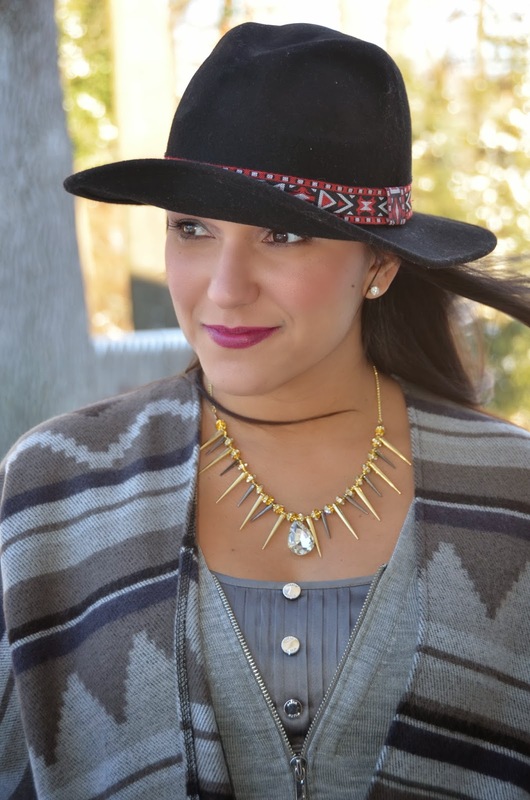 I love the colors on it and thought I could really "go aztec" by adding this hat which I got for Christmas from Anthropologie. 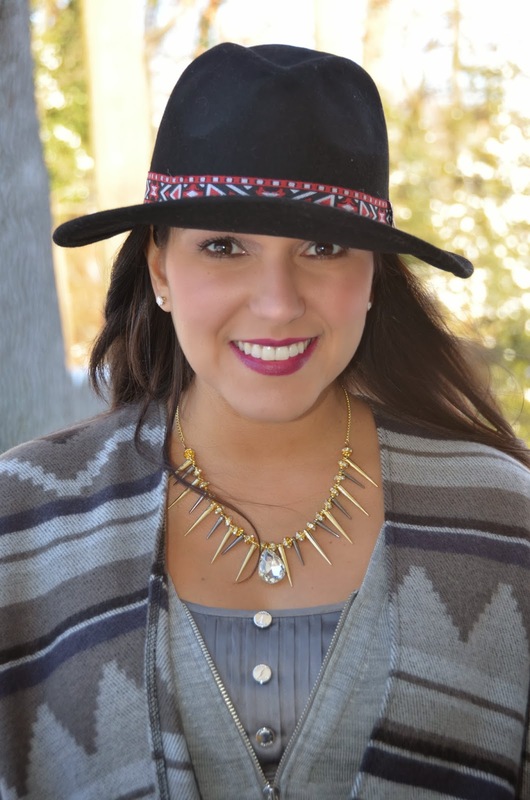 Plus, this fun and funky Sira & Mara necklace also ties in the gold hardware from the bag and the silver hardware from the sweater...it's one of my favorite new additions to my jewelry collection...and it's totally affordable! This look screams winter out west to me and I just love it! Happy Friday! Hope everyone has a great weekend!